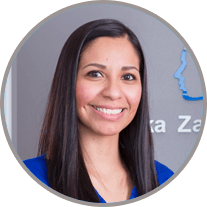 Dr. Zarate attended the University of Texas in San Antonio to obtain her bachelors degree in Biology in 2002 and then attended the University of Texas Health & Science Center Dental School where she graduated in 2006. Her 10 year career began in her hometown, Laredo, at Gateway Community Health Center. In three short years she worked her way to become the Associate Director of the Dental Department, while also serving as an adjunct faculty member for UTHSCSA. In 2009 she came to the Valley and immediately fell in love with McAllen. The people, the close community feel, the family oriented growing patterns and the culture made her realize that this is where she’s meant to start her dream. On her spare time, she enjoys participating in marathons and being physically active. Maintain your healthy smile for life with regular preventative dental exams, cleanings, and X-rays. 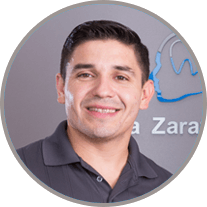 Our staff will refresh your teeth and gums by removing any harmful bacteria, plaque, and tartar. Regular appointments will also help us identify and treat potential oral health problems at the earliest possible stage. Alba is 28 years old and graduated at the top of her class from South Texas Vocational Technical Institute in 2012. She earned her Registered Dental Assistant Certification and Nitrous Oxide Monitoring Certification through the State Board of Dental Examiners. She has been an RDA for four years and enjoys learning new ways to help patients obtain the perfect smile they desire. Alba’s hobbies include fishing, baking, scrapbooking, and spending time with her husband and two sons. 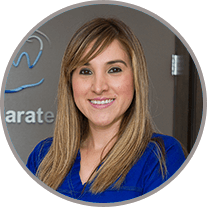 Norma earned her dental assistant, nitrous oxide, sealant, and coronal polishing certifications through the State Board of Dental Examiners. She has been working in the dental field for 14 years and loves applying her experience to help patients feel as comfortable as possible during their visit. In her spare time, she enjoys spending quality time with her family and friends.